Something different is going on this week at Radio Free Nachlaot. Known for being the place where the "music, talk & Torah" that defines Nachlaot, Jerusalem's coolest neighborhood is constantly (well, 24/6) going on, you may be surprised to tune in this week and NOT hear any music. 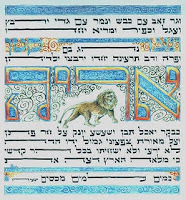 We're all-Torah (with a little accapella and maybe some drums thrown in) between Rosh Chodesh Av and the end of Tisha b'Av - the most constricted period of time in the Jewish Calendar, known as "The 9 Days." The 9 Days is the final period of what is known in the annual cycle as The Three Weeks, which began on 17 Tammuz, a day of historical sorrow and trouble for the Jewish People. To help us not only get through this rarefied time period - and not just get through it, but GROW through it - we present special shiurim and Torah teachings from Rabbi Chaim Richman, Benzion Eliyahu Lehrer, Avraham Sutton, Yaakov Shapiro, Yossi Silverman, David Aaron, Betzalel Edwards, Ozer Bergman, Yom Tov Glaser, Aaron Leibowitz, Rebbetzin Rena Richman, and more. This is our time to remove the "comfort zone" of music so we can really concentrate on what's going on and give the energies of this special time the attention it deserves. 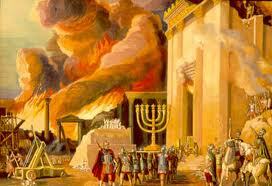 Chodesh Tov - "Menacham Av" - because we will, with G*d's help, be comforted - may we only hear good things. Shavua Tov, Shavua Tov. The Heat is On! It sure is a "hot time in the hot town" tonight! But that won't stop us from having a "cool" musical experience when Motzoei Shabbos (lots of Shlomo) meet Saturday Night - lot's of great music intended to take our minds off the HEAT. Yes, somebody turned the Heat on and went away for the weekend. Well, we're still here and since you're still there, we might as well get together and make the best of it. Coming Up: Sunday Night Live - 8:00 PM this week featuring Rabbi Yom Tov Glaser. 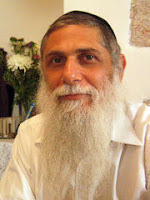 Rabbi Yom Tov will discuss all things relevant, including the 3 weeks and the 9 days, and his project "The Possible You." Watch him right here on the radio, brought to you by BE THERE ISRAEL www.bethereisrael.com video broadcasting services. 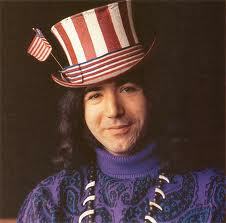 And lest you forget -- Coming in about 10 days, the 2nd Annual 9 Days of Jerry Internet Radio Extravaganza! Get on board now, people. Deadicate a show, Sponsor a Day, a Week, or the "whole darn thing!" - and don't wait until the last minute, make your reservation for the pre show dinner, or buy your ticket for the Jerusalem Jerryfest Concert at Mike's Place on August 14th. Listen for more info on the radio, or go to the 9 Days of Jerry page. 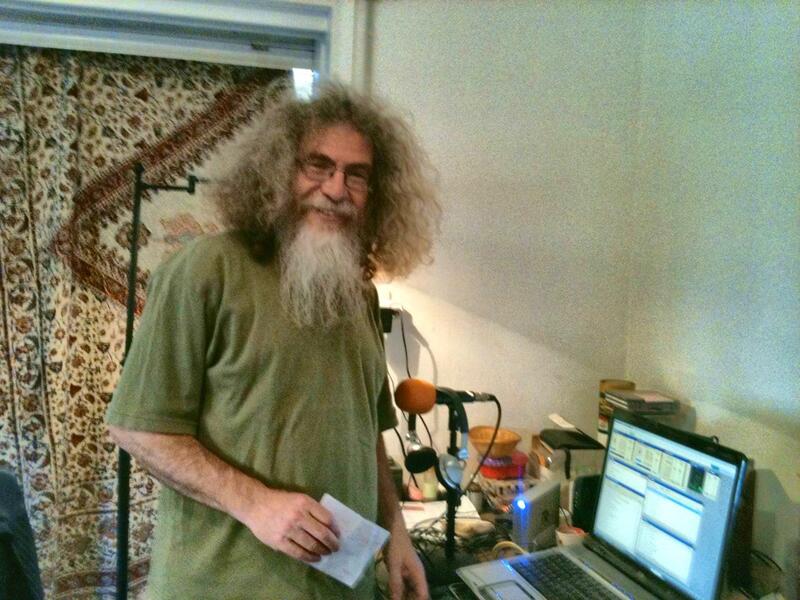 Get on that magic bus people, and show us how much you love Jerry and Radio Free Nachlaot! 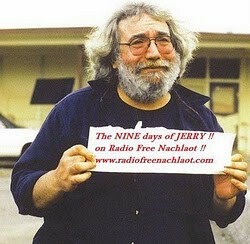 It's a well-known fact that Radio Free Nachlaot's 9 Days of Jerry event celebrates "The Days Between" Jerry Garcia's birthday and yartzeit. The concept of the "Days Between" is really relevant right now as we linger in the "days between" 17 Tammuz and Rosh Chodesh Av ... not quite one thing, not quite another. Yes we're not playing live music on "Sunday Night Live," yes we're toning down the recorded music we're playing, yes we're preparing to go all-Torah from Rosh Chodesh Av to Tisha b'Av .... because that's what we do. But it's not necessarily comfortable - at all. Especially with the temperatures soaring and another heat wave expected any day, and the impending move (to an as-yet undiscovered undisclosed location) of Undisclosed Studio B ... everything feels a little SKETCHY. So our only real solution to that feeling, at this point, is to try to focus on staying cool. Breathe. 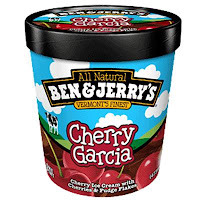 Enjoy some Cherry Garcia ice cream (or frozen yogurt). After all, every time we think about The 9 Days of Jerry, we think about Cherry Garcia. The cool solution to the hot days of summer. Join The Crimson Stone at High Noon today for some cool jazz, and DJ Maya at 9pm Jerusalem time for her music of the night show ... we're with you in all kinds of weather. The "Scruffy Jazz Show" at Noon. We'll be visited by "Scruffy" himself for his weekly show. Watch Scruffy on the Radio - that's Video/Radio, our specialty here at Radio Free Nachlaot, between 12:00 and 1:00 PM. After Scruffy we'll bring you Israeli Soul til 3:00 pm, and then we have Peter Gabriel, Leonard Cohen and Sting all lined up for your afternoon delights. It's Wednesday already, boy, where does the time go? Listen to Radio Free Nachlaot, at least we can wonder and wander, together. 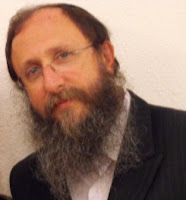 Rabbi Chaim Richman and Rav Avraham Sutton SUNDAY 8pm on Radio Free Nachlaot!! Radio Free Nachlaot is proud to present the best Torah from some of our favorite Torah Teachers in Jerusalem during "The Three Weeks." This week on Sunday at 8pm Jerusalem time, we're extremely honored and excited to be bringing you Rabbi Chaim Richman and Rav Avraham Sutton - both of whom recently returned from the International Noahide Conference in Texas. 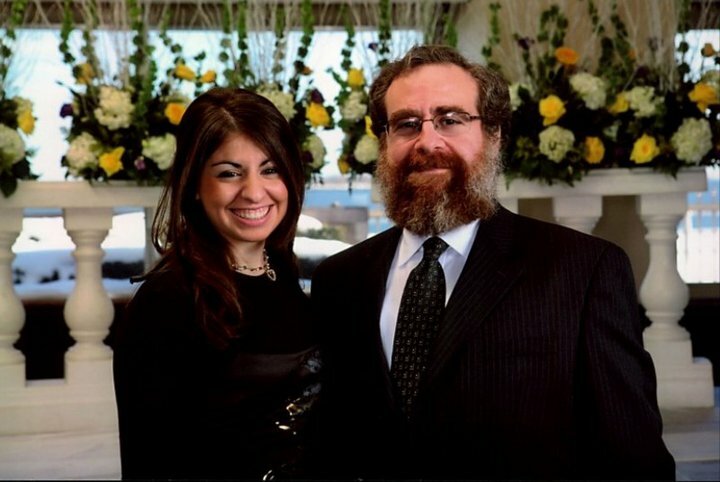 Join Rabbi Richman and Avraham Sutton as they discuss their experience with the Noahide movement: the unique spiritual phenomenon of our times! Watch us on the Radio in live streaming video (via our friends at BE THERE ISRAEL live real-time video broadcasting services) right here on our web site! It's the beginning of The 3 Weeks, again! In the world of radio programming - especially Torah-observant radio programming - we've got real challenges ahead of us. The period of time between 17 Tammuz and Tisha b'Av (known as "The 3 Weeks") is a time of trouble for the Jewish People, a time of tragedy repeated once and again, and we take special precautions during this time period. We're not playing any live musical programming during The 3 Weeks. All the great live music you love all year round (with the other annual exception of the Sefirat haOmer season) is delayed until after Tisha b'Av. Additionally, the recorded music we're playing between now and Rosh Chodesh Av is deliberately toned-down. 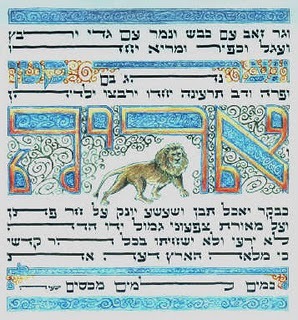 From Rosh Chodesh Av (August 1st) through Tisha b'Av (the "9 Days") we're going all-Torah and no instrumental music - you'll hear some a-Capella and non-instrumental vocalists during The 9 Days. It's a time of reflection, a time to examine ourselves for those character flaws that caused the destruction of both the First and Second Temples, and may be delaying the rebuilding of the Third Temple even now. But don't worry, we're not a self-flagellating radio station - we're with you and you're with us, and we'll get through this together, like we always do. And after the mourning - then of course, the dancing. The Second Annual 9 Days of Jerry begins right after the 3 Weeks ends ... more about that soon, but for today - we're in the 3 Weeks and you'll be hearing and seeing more special Torah-oriented programming from us, starting this Sunday night July 24th. Rabbi Chaim Richman and Rav Avraham Sutton join us to discuss their recent appearances at the International Noahide Conference, which took place in Texas at the beginning of July, this Sunday on "Sunday Night Live." 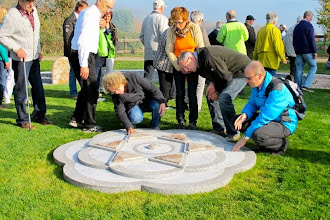 Don't miss this special show on an important and fascinating topic - the growing Noahide Movement, a phenomenon sweeping the Gentile nations as they turn away from idol worship and towards Torah and the G-d of Israel. 8pm Sunday July 24th, right here on Radio Free Nachalot. Hey there music lovers and rock stars, tonight's musical journey is a very special one: songs from soundtracks!!!!!!! That's right-the great songs from the great movies ever!!! Music is such a big part of movie making, years and years after the buzz from the movie itself has gone, we still hum to ourselves that special song, the melody that is our memory from the movie experience!!! So listen to Maya's show tonight (which may be somewhat more subdued than her usual high-energy rocking show because of the 3 Weeks) and "Watch her on the Radio" right here on Radio Free Nachlaot! Quite a tiyule from Jerusalem to Tel Aviv this morning for Lorelai Kude, intrepid journalist (making her own press passes since 1973), who went to the (beautiful!) 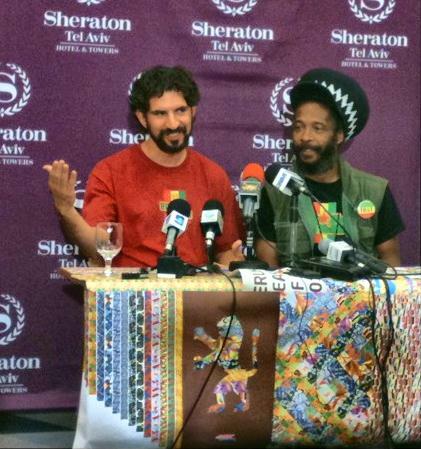 Sheraton Tel Aviv with one thought in mind: to invite Ziggy Marley to Shabbos. CLICK HERE TO DOWNLOAD AND LISTEN to Ziggy Marley's Press Conference (which begins with a few words from Michael Goldwasser and Ras I Ray of the Easy All-Stars, who are performing with Ziggy on the "Road to Zion" Tour). Ziggy had a lot to say that was Torah. About corporations, individuals, governments which interfere with the rights of citizens, health and herbal healing, and love being his religion. Some of his statements could have come directly out of the features we've done on Tzibur B'nai Yisrael and the idea of personal responsibility as defined by Torah (and how Corporations are the antithesis of that concept). One of the surprises of the press conference was Ziggy's astonishment to find out that he's playing the same night as Paul Simon in Israel. Immediately he suggested they play together. We second that emotion - Ziggy and Paul, you're both invited to come to Undisclosed Studio G to hang out, play music and get comfy. And of course - Ziggy and family, Paul Simon & family, Michael Goldwasser, Ras I Ray and friends ... you're all invited for Shabbos. Email us at: radiofreenachlaot@gmail.com for directions! 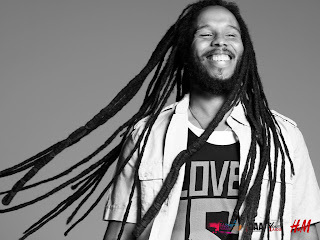 THE ROAD TO ZION - ZIGGY MARLEY'S ON HIS WAY TO JERUSALEM! ZIGGY MARLEY and the Easy All-Stars are in Israel, gevaldt! 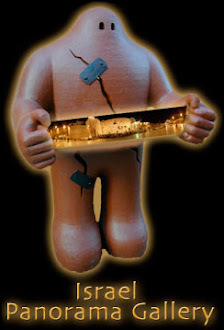 Scheduled to play "The Road to Zion" Tour in Jerusalem's Gan Sacher on Thursday, Ziggy is giving a press conference this morning in Tel Aviv and our intrepid reporter Lorelai Kude is off to TA to see Ziggy and ask him the all-important question: Where are you for Shabbos? Because of course ... he's INVITED. After all, he's practically family - his wife Orly is Israeli, he's the son of Bob Marley z"l who of course has deep Rasta-Jew reggae roots (and on a personal level there's only one degree of separation between us at Radio Free Nachlaot and Ziggy, and that's our friend Amy "Night Nurse" Wachtel, Reggae DJ/Impresario). So by us, he's mishpocha. 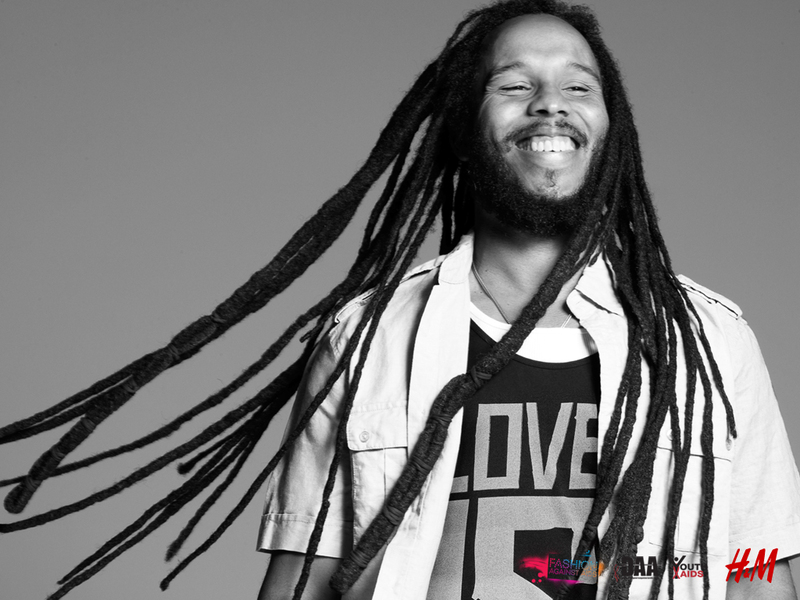 Ziggy Marley will be headlining the ROAD TO ZION TOUR which comes to Jerusalem's Gan Sacher this coming Thursday night - tickets available via "Mister Ticket" (www.MisterTicket.co.il) - don't miss it, Zion Train is coming our way, people! And Ziggy - if you're listening - Shabbos is coming, Shabbos is coming and you, Orly & the kids are invited for dinner - just let us know how many places to set - there's always room at Radio Free Nachlaot's Shabbos table for you! It's time to say "good-bye." Yes, you say goodbye and I say Hello. Bye Bye to studio "B" and hello (by August 1st) to new studio "B" in a soon to be new undisclosed location. To say goodbye to Studio "B" properly, Sunday Night Live, will come to you live between 8-11 PM from Studio B, one last time! Now, we're not closing down Studio "B" yet (much to Rena's dismay) and hopefully the transfer to our new "digs" will be transparent - 'xectp all the bitchin' and moanin' you might hear about packing and moving and setting up. Well, we did from America to Israel, didn't we? Jerusalem to Jerusalem shouldn't be so hard!!! 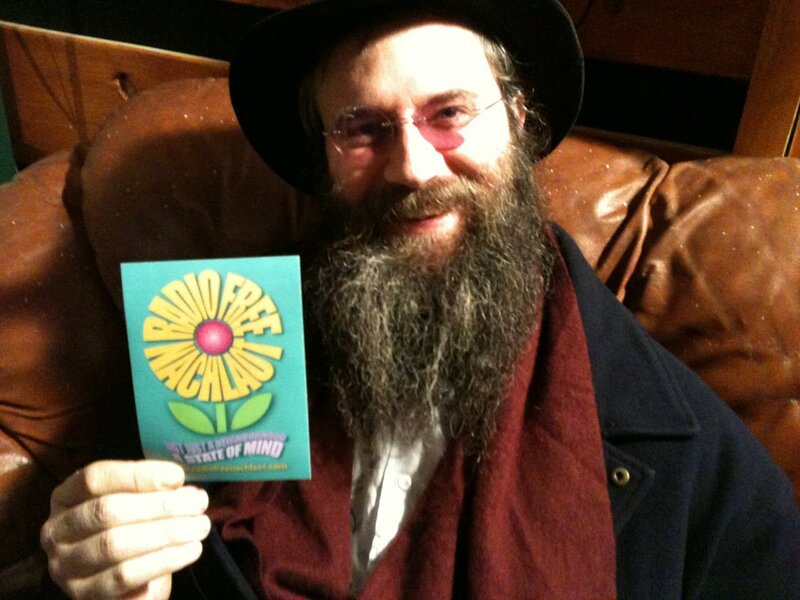 To help us close off our Sunday Night Live Music shows until after Tisha B'av (which will bring us to the 9 Days of Jerry Benefit Bash (more on that to come)) we will re-broadcast Lazer Lloyd Blumen 's concert from the Yellow Submarine, last Tuesday night. There's a lot going on at Radio Free Nachlaot. Check in and hear all the latest news from Steve and Lorelai at 8:00 PM. May I have an "Olam Hafuch" please? Oh - you mean we have one already? Yes, I suppose we do. The news out of Brooklyn today has been devastating - I ask you, is that not the product of an upside down world? And then, on top of everything, it's Wednesday, but there won't be any Maya - not on the radio, at least. We apologize to all of Maya's fans, but scheduling has been,(would you belive it?) upside down this week, and we've had to bump Maya for some logistical reasons.....it's not her fault, really! 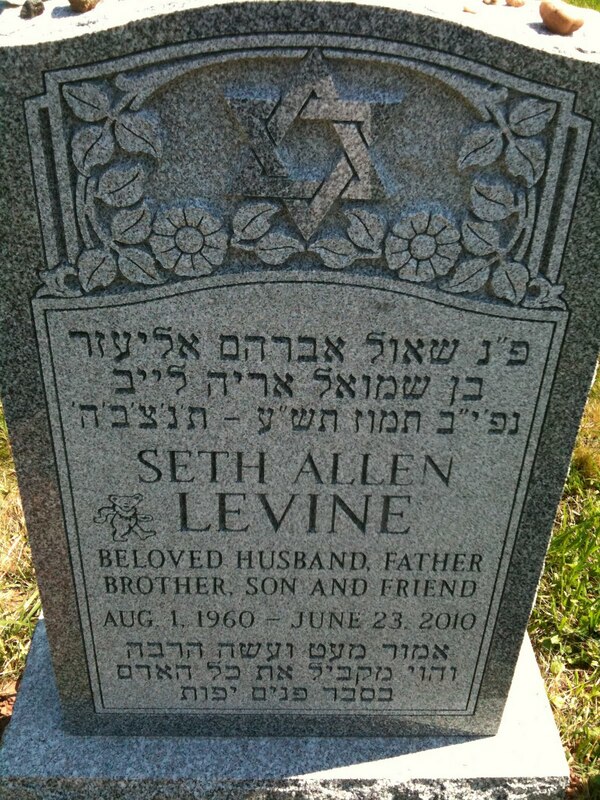 Meanwhile, I come to realize that it's my brother Seth's Yahrzeit. I can't believe it's been 13 months since he left this world. I guess this (and Maya's canceled show) is as good a reason as any to celebrate Seth's life. About a year and a quarter ago i played radio with Seth - I was here, in Studio B, and he was in the hospital. He couldn't speak. The Chat window allowed us to talk, and the radio allowed me to serenade him with some of his favorite music - straight from Yerushalayim to Seth's hospital bed. Rhea (my sister-in-law) said he was the most "up" he had been in a long time after that show. So, Seth - Let's do it again. I'm here in Studio B, and you're in Shamayim - hey, maybe right above my head!!!!! 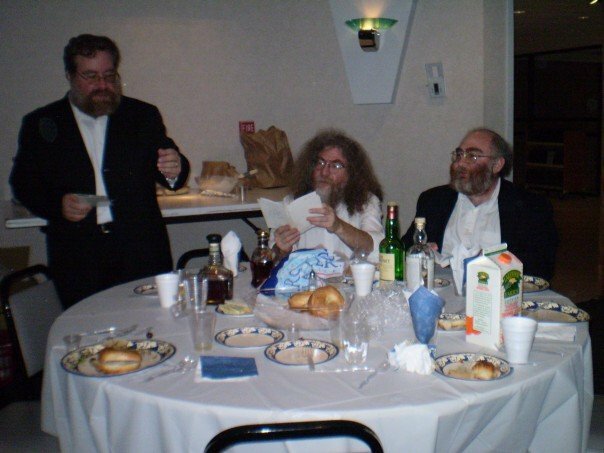 Stay tuned, at 10 PM we'll play radio in honor of my brother, Seth Levine, Shaul Avrohom Eliezer ben Shmuel Aryeh Leib, Alav HaShalom..
C Y a on the Radio, bro! HOMEGROWN and LAZER LLOYD - What Could Be a Better Combo? 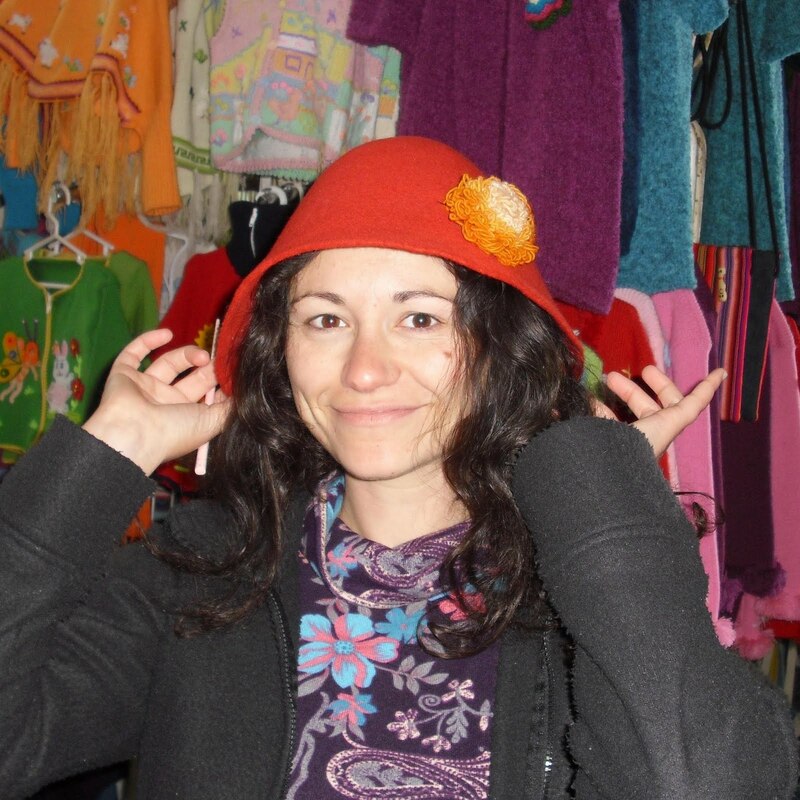 We're excited about the HOMEGROWN HOUR tonight - 7pm Jerusalem Time - we'll be featuring the music of Sarah Nadav, Professional Creative. What kind of music does a "professional creative" make? If it's half as yummy as her web site, it'll be worth sampling! Tune in at 7pm to find out! And keep tuned in because at 10pm Jerusalem time tonight (if all goes well with our technology) we'll be broadcasting the debut of Reb LAZER LLOYD BLUMEN's Acoustic Tour LIVE from the Yellow Submarine in Jerusalem. 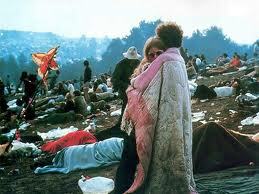 8pm Jerusalem time Monday we'll kick off 14 hours of peace, love and music - WOODSTOCK - the concert version! Get your hippie groove on, people - this is all to get you in the mood for the Jerusalem Woodstock Revival III on Thursday July 14th at Kraft Stadium. Prepare your minds and become one with the music! 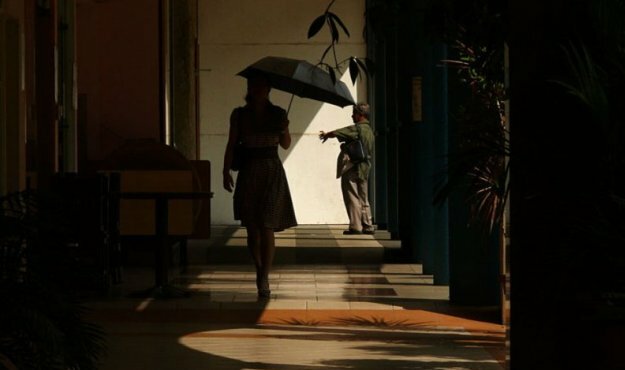 "The jungle drums are madly beating...." or is that just SUMMER pounding in our veins - yes, it's here: those hazy lazy crazy days of summer in Jerusalem. It's HOT. Mamash hot! 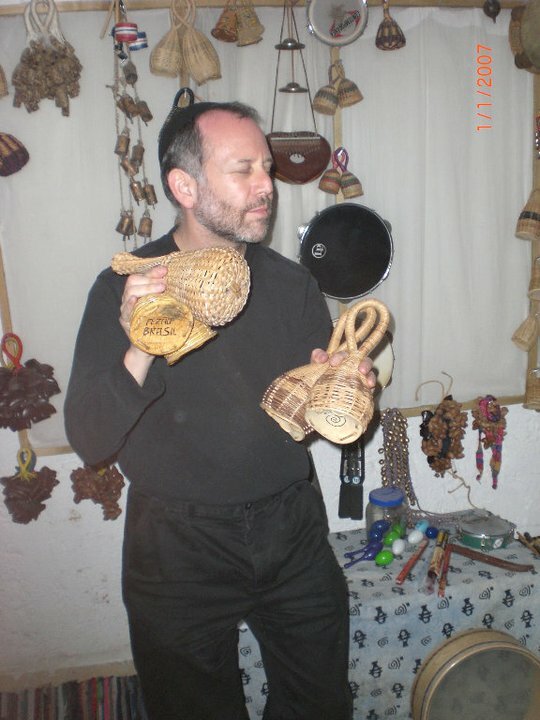 If you've got the fever, we've got the cure - starting TONIGHT, Sunday July 10th with NADAV SERLING, Master of "Word-Beat" Music, Passionate Percussionist and all-around Alpha Artist. Nadav will be our special guest on "Sunday Night Live," 8pm Jerusalem time - of course brought to you by BE THERE ISRAEL Live Real-Time Video Broadcasting Services. Yes you CAN "Watch us on the radio" right here on our web page! What people really need to understand is this: Jerusalem is the Center of the Universe and all things flow from here - including the Spirit of Rock and Roll. Take for example, the Jerusalem Woodstock Revival - now in it's 3rd year, it's morphed from a cute idea to an annual tradition. 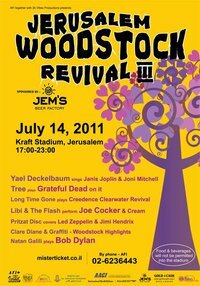 STILL TIME TO GET TICKETS TO THE JERUSALEM WOODSTOCK REVIVAL III CONCERT FOR JULY 14TH! Don't miss the newest Jerusalem tradition: festive atmosphere for the whole family - juggling and face painting for the young (& young at heart), arts & crafts booths, Woodstock Trivia quiz with great prizes and of course the annual Best Dressed Hippy Competition! Family Discount rate: 2 adults, 2 kids (from 6 to 18) = 180nis then 20nis per extra child. It should be obvious by now that Reb Lazer Lloyd Blumen, the tzadik of strings, is one of our favorite people. We don't miss a chance to play his music, and when he's in town we don't miss a chance to see him - especially when he plays the YELLOW SUBMARINE ... ok, we ARE Radio Free Nachlaot, of COURSE we're going to love a venue named after a Beatles song, but even so - it's a great place to hear and play music! and,especially because this show is the kick-off of the Lazer Lloyd Solo Acoustic Trip Tour. TUESDAY JULY 12th, the show starts at 10pm. DON'T MISS IT! OK - you got that? ... and, gevaldt! THE 9 DAYS OF JERRY (2nd Annual) are coming! Stay tuned for NEWS! Hey Good Lookin', Whatcha Got Cookin'??? That's right, it's Thursday, already! Tonight, not only will we be "Cookin' for Shabbos!" but we'll be celebrating 2 very special birthdays. Nigleh and Nistar - Revealed and Concealed. 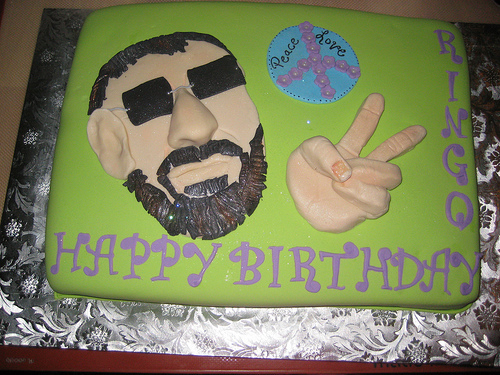 Revealed -Ringo is 71. Concealed - that birthday girl's identity is safe with me! All I want to say is that today's music will be inspired by both Birthday people who each in their own way have made a mark on my musical conciousness. More than that all I can say is that we'll let the music speak for itself, wishing a good life to all those who's birthday or un-birthday happens to be today. Hmmm - I think that includes everybody! Hey Everybody: STAY TUNED! 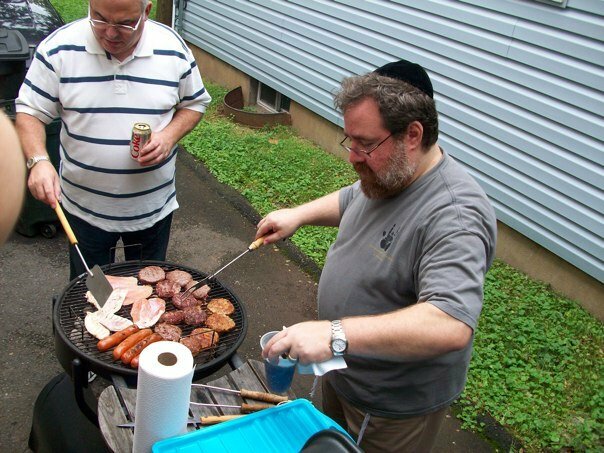 We start "Cookin' for Shabbos" at 10 pm - but don't wait until then, we'll be "preparing" all day long. 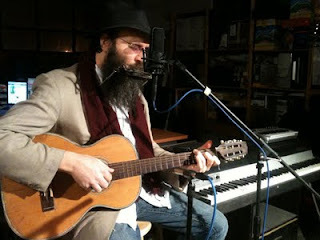 Don't Forget - This week's Sunday Night Live will feature our friend, Nadav Serling. Nadav's "word-beat" rhythms and poetry are bound to captivate! Join us, 8 -11 PM, Jslm time, for our special type of Radio on TV, brought to you by BE THERE ISRAEL(http://www.bethereisrael.com/) - If you have an event here (in Israel) and the whole world can't come to you, we can bring you to the whole world! We have a big week coming up, but for right now - Come join the party - C Ya on the Radio, everybody! Skruffy Jazz at High Noon, Maya's "Music for the Night" and "Dust in the Wind"
Wednesday is the SKRUFFY JAZZ SHOW at High Noon - now going on it's third week, and already we have a special guest joining The Crimson Stone in-studio today: Israeli musical prodigy Erez Foyer. 12N Jerusalem time ... sure to be a WONDERFUL show, don't miss it! Steve and Lorelai will be checking in at various times today from Undisclosed Studio G (which couldn't be more filled with dust than if it was an actual dust pile - the Jerusalem Media Group is LITERALLY "Under Construction!"). 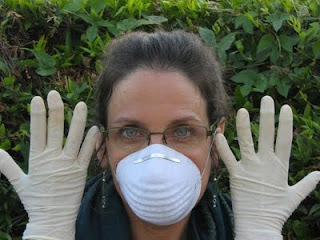 Lorelai has finally figured out (after DAYS of painfully itchy scratchy dusty eyes and throat) that wearing a dust mask AND goggles (or constantly cleaning her glasses) is the only way to keep sane (and maintain decent respiration) during what is sure to be known as "the Construction Era." Then tonight - when the dust settles - our DJ MAYA will be bringing us "MUSIC OF THE NIGHT." Apparently Maya has been very DARK in her blog lately (you should read MAYA'S WORLD OF MUSIC, by the way!) and she's been attracting visitors to her blog (and fans of her shows) from all sorts of interesting places (Eastern Europe is BIG on Maya!). Listen to "Music of the Night" with Maya at 9pm Jerusalem time tonight! 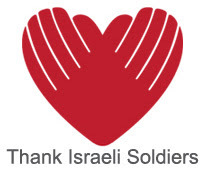 Wherever you're listening to us from (96 countries world-wide) we say: Shalom, y'all! Happy Wednesday! We're really excited to have DAVID BRINN in studio with us live today at 2pm! David is the music critic for the Jerusalem Post, but more than that, he's a passionate music lover AND musician himself - he'll be bringing in some of his own stuff and we're pretty tickled to "talk music" with someone who has seen (and commented on) all the major performers who have come through Israel in recent years. Does he like Dylan better than Leonard Cohen? Who does he wish he had been able to see? Who does he wish he didn't HAVE to see? What's he looking forward to hearing next? Watch us on the radio in live streaming video at 2pm Jerusalem time to check in with David Brinn! Happy Birthday, USA! 235 is the new 199 ... you're not lookin' a day older than somewhat less than two centuries - how DO you keep your girlish figure? Must be because you keep all the "fruit and nuts" in California, right? OK, California jokes aside ... it's UNCLE SAM'S BIRTHDAY, the anniversary of the Declaration of Independence, that document that (thankfully) freed us from the Brits and spawned 235 years of the American Dream ... and yes, we've dreamed our own American Dream - to come to Eretz Yisrael! So, thank you America - we're far from ungrateful! If not for you, we wouldn't be here today, in Jerusalem, playing American tunes to keep our friends and family in the USA "in tune" with the 4th of July weekend. 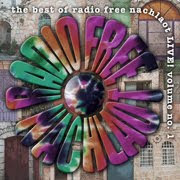 Keep tuned to Radio Free Nachlaot. We're all-Americana today! 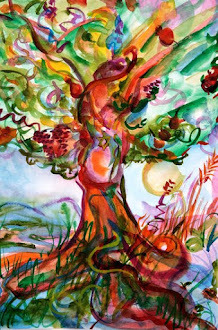 Happy Rosh Chodesh, Happy Week everybody.. In fact, in some part of the world, it's Happy July 4th Weekend everybody!. The 9 Days of Jerry are coming! Stay tuned to the radio, this page, and Facebook for more information as to just what that means this year: 9 Days of Jerry, Year 2. We've got a lot planned 'cause remember, Radio Free Nachlaot is where Shlomo meets Jerry, and everything in between.